In the late 1940s the French beauty company, L’Oreal, revolutionised advertising by staging live radio shows that attracted upwards of 50,000 people. These sponsored programs promoted the company’s message regarding personal hygiene, but they also became a mainstay of product marketing. Now L’Oreal is establishing a position at the forefront of the latest media for branded content – online. For L’Oreal Australia and New Zealand’s head of digital, Christophe Eymery, branded online content presents a means to better connect consumers to L’Oreal’s brands, and assist the company’s goal of adding one billion new customers by 2020. He will speaking on the topic at the upcoming Ad:tech conference in Sydney on 18-19 March. Eymery began his career in marketing at L’Oreal in Paris as an assistant brand manager with its Lancome Homme brand. Subsequent experience with Renault in Melbourne and then with agency ZenithOptimedia saw his interest in the online channel grow, leading to his return to L’Oreal in June last year, in a role that reports directly to the company’s managing director. “That gives a very strong focus to the digital agenda for the whole business, and pushes me to really drive my projects, with the full support of the business,” Eymery says. Digital is one of the four pillars of a strategy through which L’Oreal is aiming to double its customer base to two billion globally by 2020. In Australia, the company operates 35 local websites across 27 brands, with numerous additional social media destinations. Given the company’s heritage, it is unsurprising then to see branded content playing an increasing role within the digital strategy. 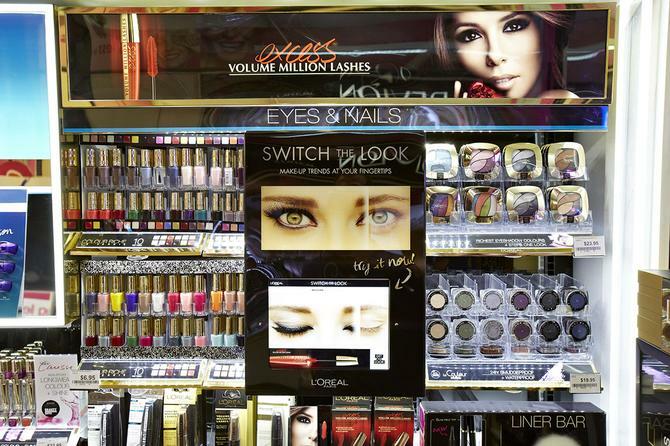 L’Oreal has used traditional means such as employing beauty advisers in stores to talk directly to clients, but Eymery says this strategy is not scalable. “The first challenge we have is to help consumers navigate the complexity of beauty, and the second part is how to do it at scale,” he says. “We are launching new platforms that are developed locally and globally to really deliver on our promise of offering beauty for all, which is basically the mantra for the L’Oreal group. While many brands have taken an approach to branded content based around entertainment, Eymery says the intention of L’Oreal’s strategy is to be an information provider. “Branded content is all about value to consumers,” he says. “It is not about creating entertainment, but more helping the education process for consumers. The first initiative using branded content is M:Edition, a locally developed site for L’Oreal’s Maybelline New York brand. Eymery says its intention is to provide women with inspiration from the catwalks and streets of New York, packaged with tips and information from more than 20 local beauty bloggers and vloggers, as well as from brand ambassadors, Ruby Rose and Nigel Stanislaus. M:Edition also gives consumers the ability to ask questions, and the site is now being visited by more than 70,000 Australians each month, which Eymery says makes it the number one local online makeup destination. A second site called Get-the-look by L'Oreal Paris was launched in December with the aim of capturing trending ‘looks’ from red carpet events around the world and bringing them to an Australian audience. Melbourne-based journalists contribute 10 to 12 articles each day, and Get-the-look was the launch partner for Twitter Amplify in Jan 2014 Australia. In March 2013, the company launched an augmented reality application for the iPhone called The Colour Genius, which lets users match or clash their nail colour with their outfit, and has been downloaded more than 33,000 times in Australia. L’Oreal has since launched The Skin Genius and Switch The Look, with face and hair apps to come.